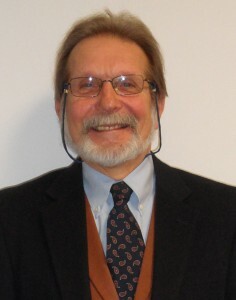 CAS is thrilled to announce that Dr. Steven Wysowski, recently retired principal of Bristol Eastern High School, has joined the central office staff as part-time assistant executive director for CIAC. Steve will work side-by-side with CIAC Associate Executive Director Paul Hoey and ultimately replace Paul upon his retirement. Steve began his career in education as a teacher and coach, first at St. Paul High School in Bristol and subsequently at Canton Jr./Sr. High School. After successive stints as an assistant principal and an athletic director at Watertown High School and Canton, respectively, Steve began a long and successful administrative career at Coginchaug Regional High School in Durham. He served as principal there for ten years before assuming the principalship of Bristol Eastern High School, the position from which he retired last month. A strong educational leader, a former athlete and an academician, Steve has been an adjunct professor at the University of New Haven and Albertus Magnus College and has been active in numerous professional organizations. His contributions to CAS-CIAC during his years as a school administrator were prodigious and far-reaching, earning him the coveted CAS Citation in 2011. In his roles as both a CIAC member and a building principal, he was a true champion of high school athletics, enthusiastically and consistently promoting the important role that sports play in the development of our youth. Steve received his baccalaureate degree from Marist College, his masters from Wesleyan University, his sixth year degree from Central CT State University and his doctorate from Nova Southeastern University.